Gliomas are an incredibly aggressive form of brain cancer, making up the majority (70-80%) of malignant primary brain tumours. Although there have been improvements in diagnostic, radiotherapy and chemotherapy options, survival rates remain low for brain cancers, with only 1 in 5 patients surviving beyond 5 years. In this project, we aim to use a novel approach to investigate new treatment options for gliomas. Our laboratory will investigate glial cells in the enteric nervous system, which is found throughout the wall of the gastrointestinal tract. Interestingly, although these enteric glial cells have a lot in common with glial cells in the brain, they do not develop gliomas. We hypothesise that enteric glial cells have unique biochemical pathways that protect them from developing cancerous tumours. The aim of our study is to identify these pathways and examine how they can be translated to brain glioma cells. This project is supported by the CASS foundation and will be a collaboration between Dr Marlene Hao and Dr Lincon Stamp in the Department of Anatomy and Neuroscience with Dr. Rodney Luwor at the Department of Surgery. 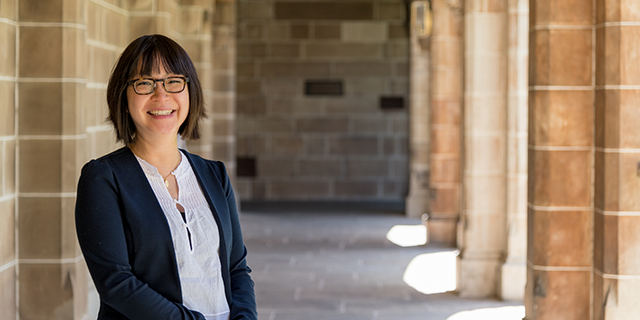 Dr Marlene Hao is an NHMRC CJ Martin Fellow in Professor Heather Young’s laboratory in the Department of Anatomy and Neuroscience. The CASS Foundation (‘Contributing to Australian Scholarship and Science’) is a private philanthropic foundation which was established in 2001 to support and promote the advancement of education, science and medicine, and research and practices in these fields. Check the CASS website for further information about this organisation.